Labour are apparently in ‘turmoil’ at the moment, having completely fallen apart in the election. From the outside, Harriet Harman actually seems to be holding things together fairly well. But if we have a look at the next decade or so, it doesn’t look good for the Labour party. For a start, the leadership race is all happening too quickly. Miliband was wrong to step down immediately after the election result. He should have stayed to hold the party together in the aftermath and set things up for a leadership race which would set the party up to find a new, better leader who stands a chance of being the long term leader and Prime Minister. Instead, Miliband abandoned ship (and, quite literally, country) leaving Harman to prevent the complete falling apart of Labour. Not that I think Miliband would have been particularly good at maintaining order, no doubt attacks on him from within the party would come in thick and fast, but it couldn’t have been worse than disappearing for a month. Back to the point – the leadership race is not going to give Labour a strong leader. Let us look at the current contenders. Andy Burnham seems to be the front runner – does anyone remember that he ran for the leadership back in 2010? And does anyone remember how he did? He got a first choice preference of just 8.67%, marginally beating Dianne Abbot and falling far short of Ed Miliband on 34%. Burnham lost by a landslide compared to the Miliband(s). By this logic, he’s not just second best to Ed Miliband but also to David Miliband and Ed Balls - by whom he was also beaten. How can he possibly be the person Labour needs to turn things around for them? Quite simply, he is turning into too much of a compromise candidate: the balance between right and left, and therefore, he can’t. Liz Kendall next. Now, I sometimes wonder if she hasn’t just wandered into the wrong party – for her views appear more right wing than what Labour was dragged through under the Blair regime. She might appeal more to voters – but she won’t appeal to the majority of Labour supporters and members and if she were to be elected Labour leader (which she won’t), then it wouldn’t be a healthy relationship between MPs, members and their leader. Not just this, but her experience within Labour probably doesn’t qualify her to lead the party, nor to lead the party to victory in an election just five short years after being bitterly defeated to a Conservative victory. I’ll admit that I don’t know too much about Yvette Cooper’s bid to become leader, however she doesn’t seem to be inspiring her audience. Again, she appears to be a bit of a compromise candidate – not being a committed lefty or Blarite. Is she capable of pulling together a fractured Labour party and win a general election in 5 years time? Unlikely. Finally, the real left wing candidate – Jeremy Corbyn. Out of all of them, Corbyn would probably make the best leader. His political convictions mean he would drive the party more to the left than they have been for a large number of years, and his leadership would a real leftist agenda (compared to what Miliband introduced). This may appeal to some, but certainly not all and most likely not even the majority of members of the Labour party. If his ideology can’t appeal to the majority of the Labour party, then it stands no chance appealing to the average voter. As I’ve written previously, Labour can’t win on the left. So therefore Labour are stuck. Going on like this, or with any of these candidates as leader, they won’t win the next election (so long as the Tories don’t self-destruct over the EU). And after that? Who knows. 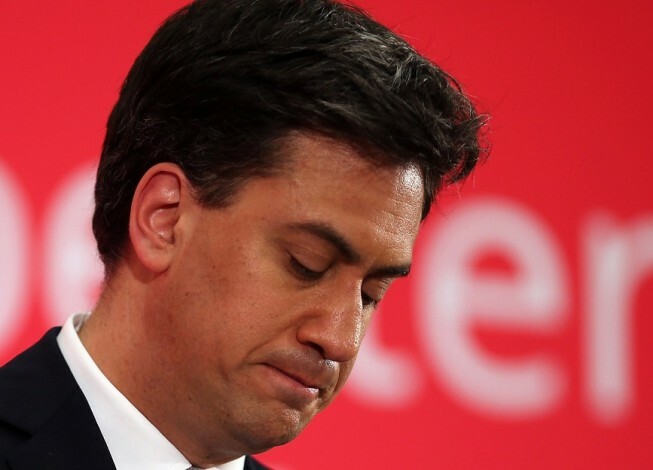 Labour do face the real possibility of being out of office for at least the next ten years – perhaps even more. It’s happened before – to both Labour and the Tories – and there’s no reason to believe it will be any different this time.